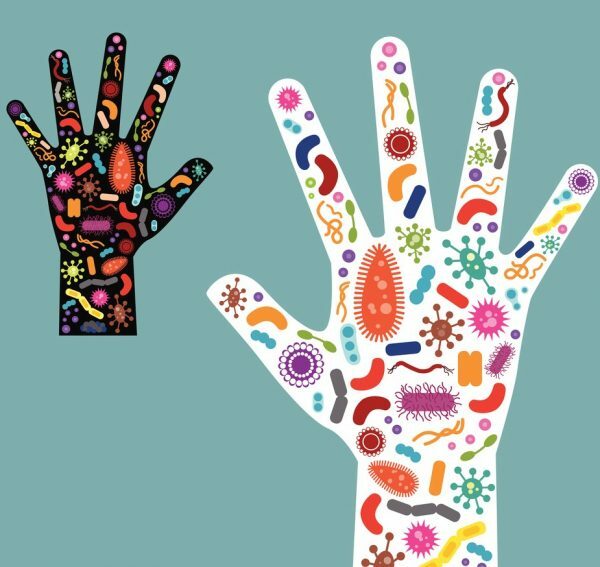 This evening was all about the microbiome — how exactly does it influence our lifestyle and well-being? Why is it relevant in drug development and for which therapeutic areas does it have the most potential? The presentations took place at LabCentral in the heart of Kendall Square’s innovation district. A diverse set of speakers from Big Pharma and rising new stars from the biotech startup world talked about their vision for the microbiome. Alex Tucker is the Program Lead at Ginkgo Bioworks, a Boston-based synthetic biology company that makes and sells engineered organisms. Dean Falb, PhD is Chief Technology Officer and Founder of Synlogic Therapeutics, a venture-backed start-up company in the human microbiome space. Azza A.Gadir, PhD (Moderator) is a postdoctoral scientist working on the Immunological mechanisms that underly food allergy at Harvard University/Boston Childrens’ Hospital. Arpita Maiti, PhD is Senior Director, External Science & Innovation (ES&I) at Pfizer where she is a member of the external opportunities (discovery to Proof of Concept) search and evaluation team for Inflammation & Immunology. Bernat Olle is Chief Executive Officer and Co-founder of ‎Vedanta Biosciences, Inc. which is developing a novel class of therapies based on bacterial consortia that modulate interactions between the human microbiome and the host immune system. Philip Strandwitz,PhD, is Co-Founder and CEO, Holobiome which translates microbiome science into novel therapeutics to treat diseases of the central and enteric nervous systems. He is a specialist in the microbiome, with a focus on the gut-brain-axis. A 70,000 square-foot facility in the heart of the Kendall Square biotech innovation hub, LabCentral is a first-of-its-kind shared laboratory space designed as a launchpad for high-potential life-sciences and biotech startups. It offers fully permitted laboratory and office space for as many as 60 startups comprising approximately 200 scientists and entrepreneurs. LabCentral provides first-class facility and administrative support, skilled laboratory personnel, a domain-relevant expert speaker series ‒ as well as the other critical services and support that early-stage companies need to begin laboratory operations on day one. Bayer is a global enterprise with core competencies in the Life Science fields of health care and agriculture. LifeHub Boston believes that creating breakthrough solutions to global health challenges requires creative thinking and radical collaboration across industries and mindsets. Want to get an invitation? Get on our mailing list! Email info@gabc-boston.org with “add to mailing list” in the subject line.